Description:This training focuses on the essential features of ActiveMQ using hands-on coding exercise to drive home the need to know concepts of this JMS framework. The course examines topics such as embedded brokers, persistence, prefetch, transcactions , connection management, message grouping as well as introducing the students to architectures that provide high availability and scaling. The labs offer students a hands-on experience coding against ActiveMQ using Spring or Java while implementing some of the more commonly used client features like selectors, request/reply, and grouping. Exercises are setup to make sure all students can keep up. Base exercises are created to allow students to focus specifically on writing the ActiveMQ code, not having to worry about setting up the maven build or basic configuration. Each exercise also provides a working solution, so students that struggle can reference the completed example. All students walk away with completely working examples of each exercise. Target Audience: This course is for architects and developers who need to learn the basics of JMS using ActiveMQ. 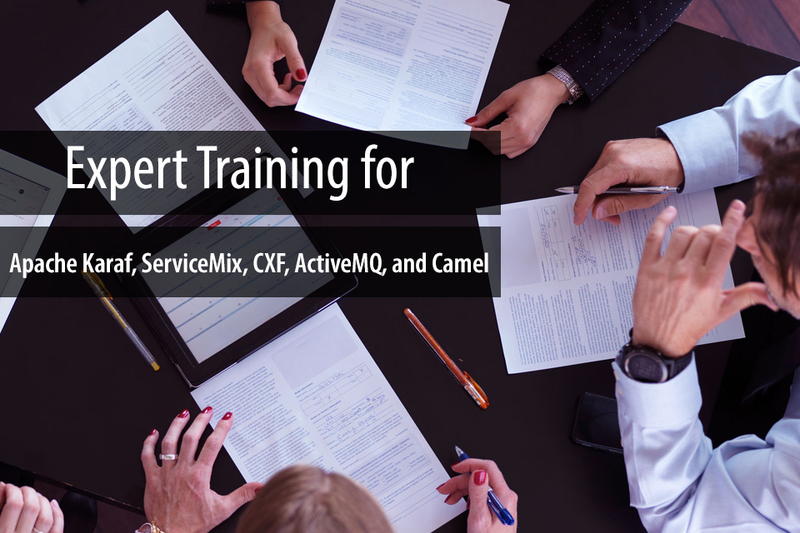 Objective: After this course the attendees will have learned basic topics in setting up and coding against ActiveMQ, as well as some exposure to topologies like high availability, failover and scaling. 11) Final Exam – Students are given a use case and are asked to solve.